Press Release (ePRNews.com) - PHILADELPHIA - Aug 30, 2017 - Cornerstone Discovery announced today its role in the David Creato, Jr. murder investigation and trial. The Camden County Prosecutor’s Office leveraged Cornerstone Discovery’s forensic expertise to assist the Prosecution in the examination of cell phone records that included numerous texts messages and phone calls between Creato and his girlfriend as well as various social media accounts including Facebook and Snapchat. David Creato Jr. was charged back in October of 2015, with the murder of his 3-year-old son, Brendan Creato. Prosecutors have always maintained David Creato committed the crime because the child was an impediment to his relationship with a teenage girlfriend. Creato was also charged with child endangerment and faced a possible life sentence if convicted on the murder charge at trial. While Creato’s previous murder trial ended with a hung jury in late May of 2017, and new trial looming for September, David Creato plead guilty to one count of first degree Aggravated Manslaughter on Wednesday, Aug. 23 rather than face another trial. In exchange for pleading guilty, David Creato will serve ten years behind bars. He will be required to serve at least 8 years and 6 months of his sentence before he is eligible for parole. David Creato will be sentenced on Sept. 29, 2017. 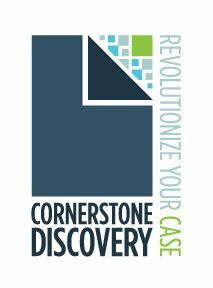 To learn more about Cornerstone Discovery’s Digital Forensic services, visit our website at www.cornerstonediscovery.com or contact Louis Cinquanto at (267) 639-6900 or email, forensics@cornerstonediscovery.com. Cornerstone Discovery, headquartered in Philadelphia, Pennsylvania is an award-winning litigation support firm that provides comprehensive criminal & civil litigation support and consulting services in areas such as digital forensics, e-Discovery, litigation and trial support. Cornerstone Discovery also develops and provides innovative web-based e-Discovery and trial support solutions in Junto® and DocfolioSM. Cornerstone Discovery helps today’s legal professionals revolutionize their cases in and out of the courtroom with direct access to certified technical experts and experienced trial technicians that offer strategic consulting services, dedicated project management and innovative solutions. For more information on Cornerstone Discovery, visit cornerstonediscovery.com.